Help the Urban Mermaid to clean our River Thames. In 2016, Lindsey cut her hand a clear piece of plastic whilst learning to free dive three miles from shore in Bali. She spun around and discovered she was surrounded by plastic bobbing out at sea. 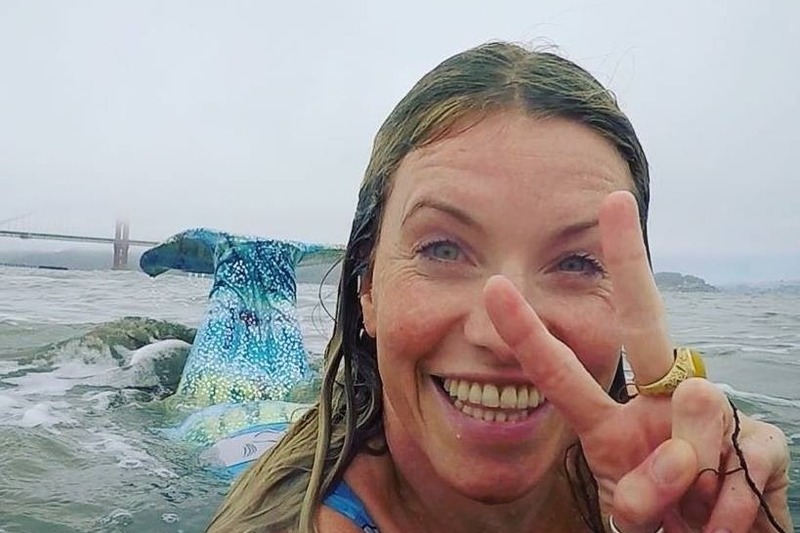 Looking for her next adventure and understanding Britain has its own problem with plastic she decided to swim the entire length (120 miles) of the non-tidal River Thames, as a mermaid to raise awareness about single-use plastic and encourage followers to use alternatives. On the look out for an artist to do something with the plastic, Lindsey met Barbara (Bla) whilst working in in France last year. Often found at the dump, or picking up rubbish wherever she goes, Bla recycles her found materials and quite literally turns them into art. Bla has upcycled 600 plastic bottles and moulded them into a mermaid sculpture. We're asking passersby to litter pick and put their findings into the mermaid. By the time we reach Teddington Lock she'll represent how we're choking our mermaids and creatures with plastic. Help us save our mermaids.